Yes that’s how Quench is synonymous when I want to go out for drinks. 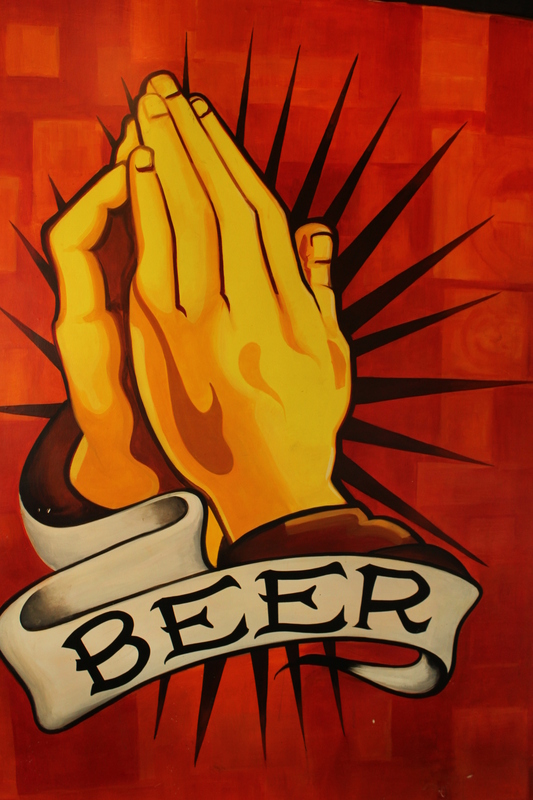 But can a all-day-pub serve you good food? Well “good food” is an understatement when you consider Quench! The food here is AWESOME. Yes! A plain AWESOME! And when I was invited for a tasting session at their newly opened outlet at Juhu, I couldn’t be more ecstatic! Located near Costa Coffee, this place is not that difficult to locate. 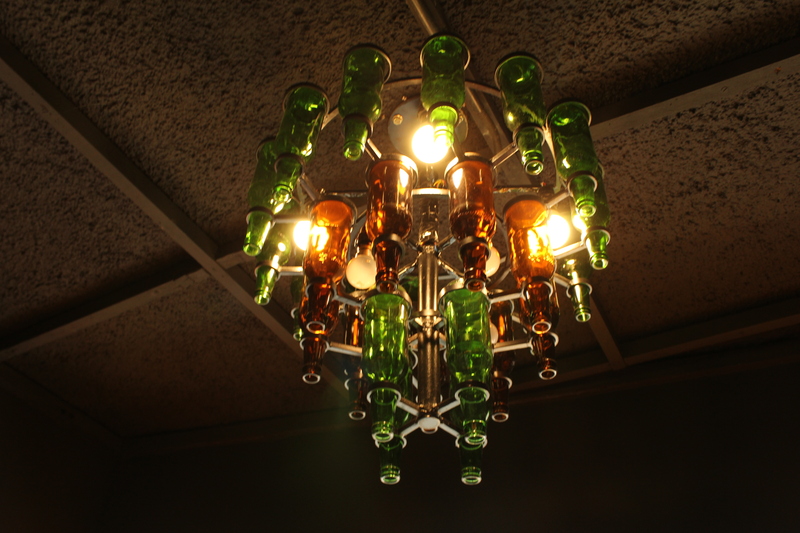 From lovely quotes adorning the ceiling to the unique lighting made up of empty beer bottles, Quench is a complete stunner! 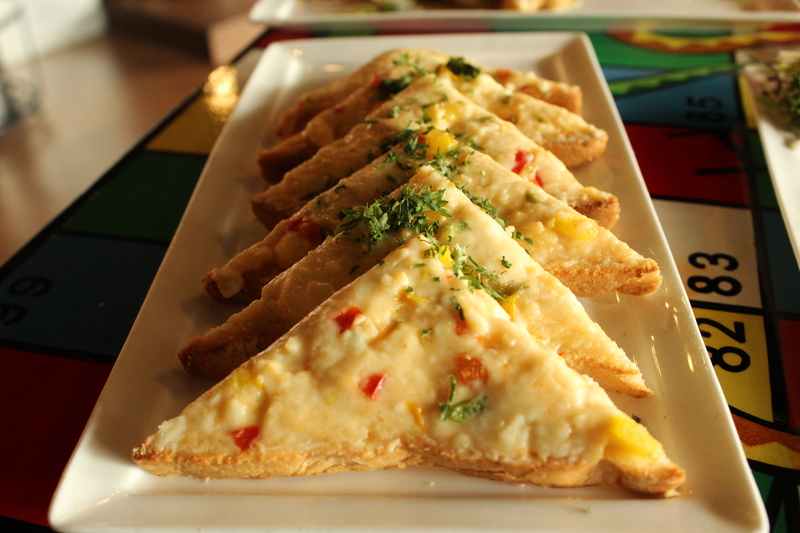 Now I know why other bloggers go gaga over the Cheese chilli toast at Quench. Mediterranean Chicken– The marinade and the succulent chicken blended perfectly. Flavorful and a complete delight to the palate. Butter Garlic Prawns– Super scrumptious and delectable, these prawns were a perfect mix of crunchy and melt-in-the mouth texture *_* The butter garlic sauce was heavenly! Can serve as a perfect side dish for your drinks. Herb & Paprika Chicken– Quench has by far the BEST Paprika sauce I have ever tasted! 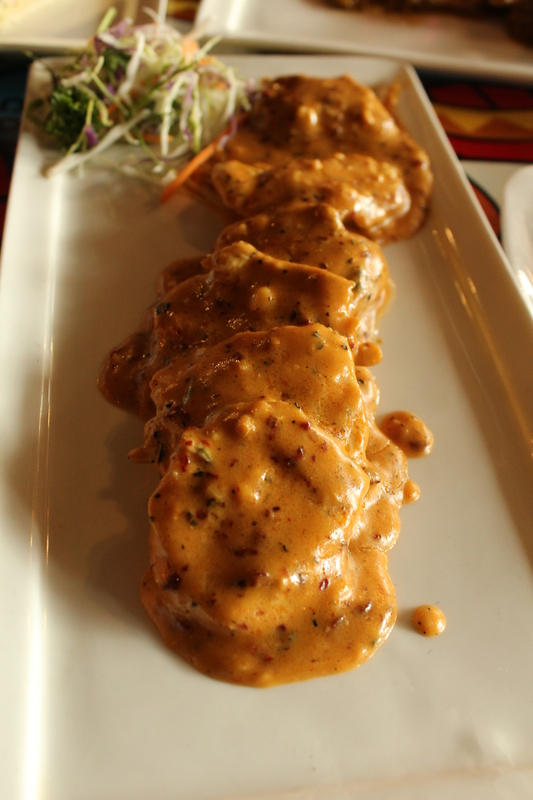 The tender chicken pieces were cooked to perfection and blended perfectly with the sauce. Neither too spicy nor too bland, just the perfect paprika chicken which will make you come back for more. 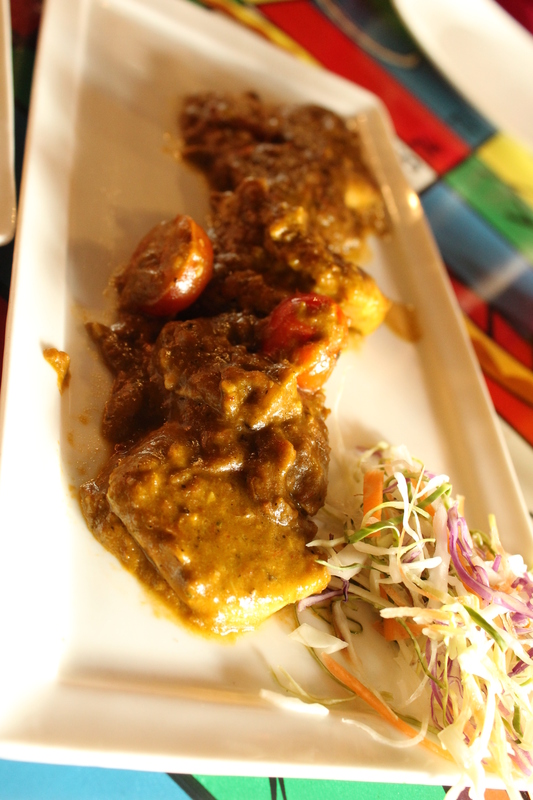 One dish you shouldn’t miss at Quench. Cocktails: We got our hands on two of the cocktails from the menu -Snake bite and Beach island ice tea. Snake bite was basically a generous dousing of Red Wine paired with Tequila and Lime cordial. 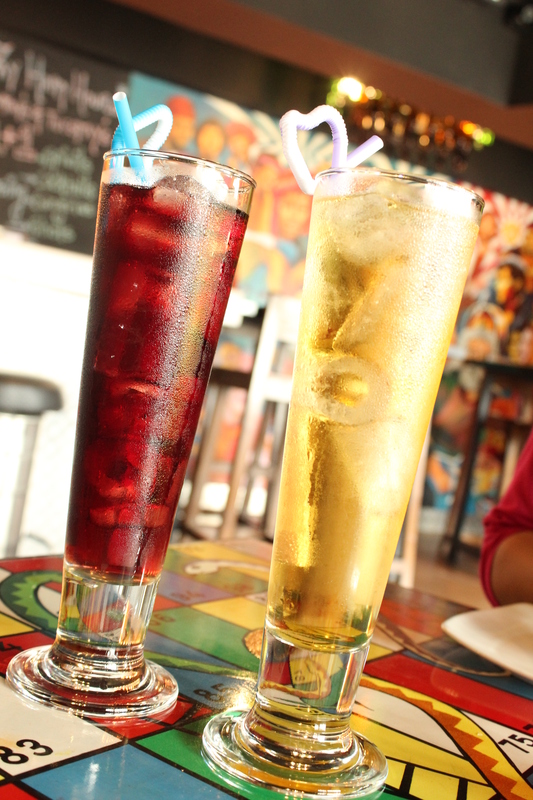 The red wine acts as a robust base while the tequila and lime cordial provide that zingy bite to the cocktail. Aptly named! Served with garlic crostini, this dish was quite wow inducing! 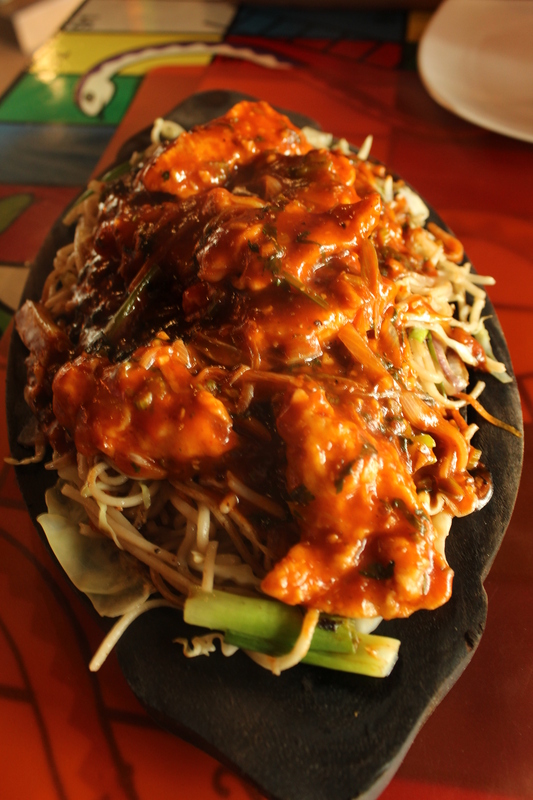 Chilly Dilly Sizzler: This dish was served with noodles and was cooked in a Chinese gravy with a strong Ginger-Garlic aftertaste! 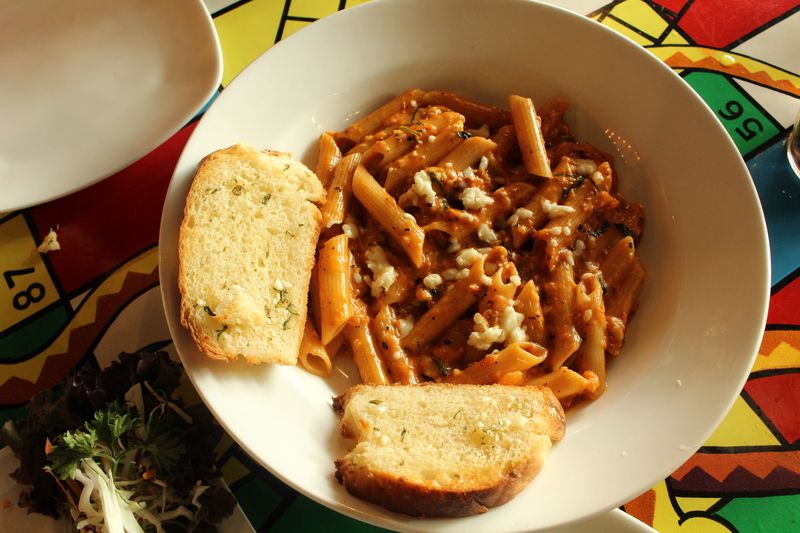 Sumptuous and flavor-packed altogether. This was hands down a stunner! 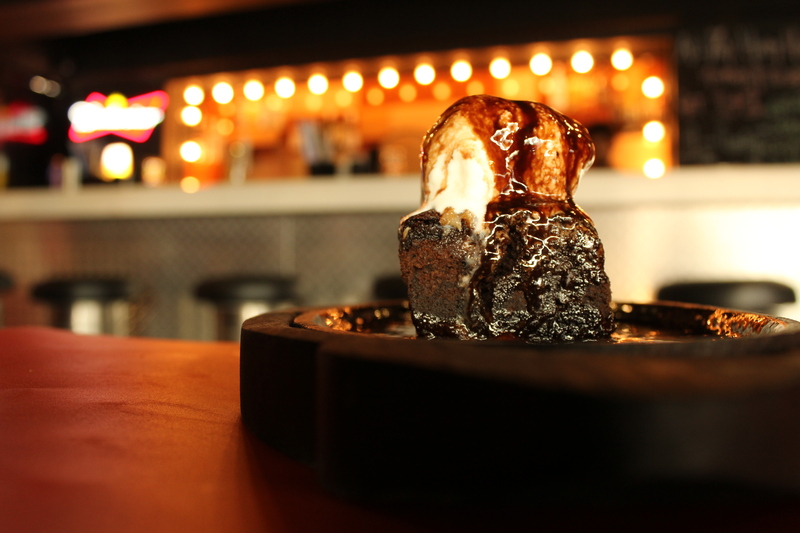 Not your regular sizzling brownies, but a brownie infused with beer in it. How awesome can you get Quench? 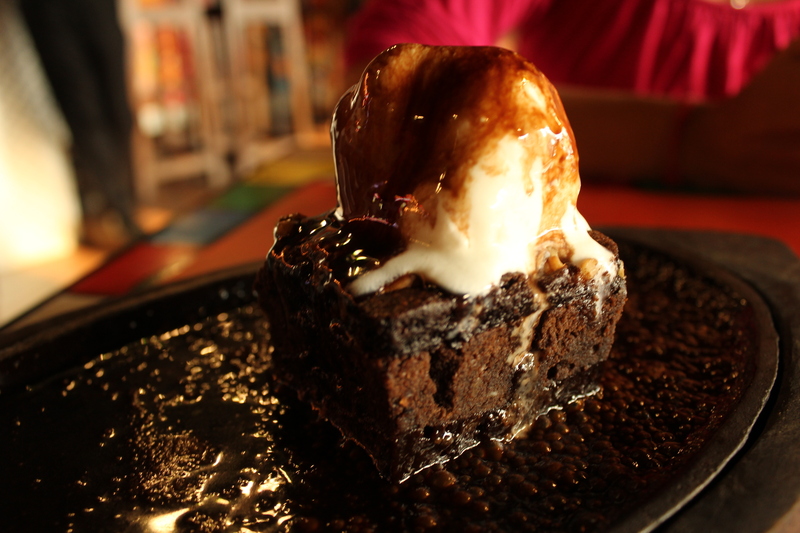 With slight hints of beer in the chocolate sauce too, the sizzling brownie was a gastronomical delight! 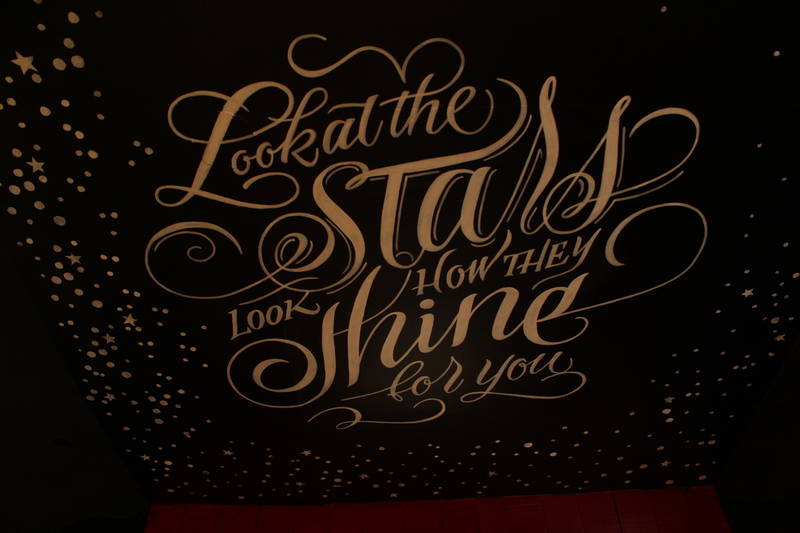 Ambience & Service: 5/5 – As described earlier, the ambience is funky and takes you this whole new world of awesomeness! A special mention to the music too! 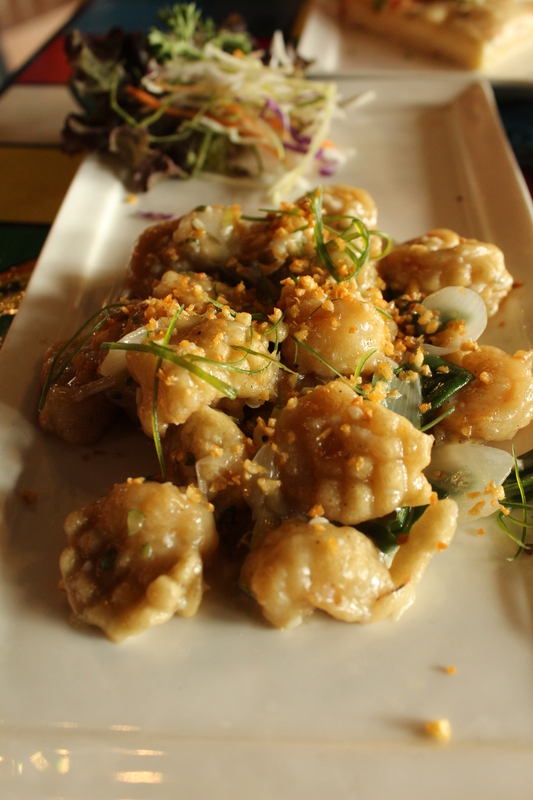 As far as the service is concerned, the staff is friendly and prompt in suggesting you the dishes. The perfect place to catch up with your friends and have an amazing time over some good food and drinks. A big thumbs up to Team Quench!